The 33rd CAAMFest—the Center for Asian American Media’s Asian-American film festival—has wrapped after 10 days of cinema, food and music in San Francisco, Oakland and Berkeley. Although the theme of this year’s event, the largest Asian/Pacific Islander film festival in the world, was travel and destinations, my own festival experience resonated with notions of home: leaving home, coming home, staying home, recognizing home after a long absence. And that interpretation is fine with CAAMFest, whose vision is pluralistic and its audience possibly the most diverse of all Bay Area cultural events. Masashi Niwano took the reins as festival director five years ago, and since then the solid foundation established by Niwano’s predecessor, Chi-hui Yang, and current CAAM executive director, Stephen Gong, has remained strong and celebratory. When I interviewed him in 2010, Yang described an annual meeting of Asian-American film festival programmers that he hosted to share information and best practices and form a network—an informal distribution channel—for Asian-American cinema. At the time the network comprised almost 20 "very tightly connected" festivals. Niwano says that network has only grown recently and includes representatives from the Bay Area, Toronto, Austin, Philadelphia, Seattle, San Diego, Los Angeles, New York and more. "It is a network," Niwano maintains. "I’m told that other niche filmfests, such as LGBT, don’t have this kind of network. We don’t see each other as competitive. Among this network, CAAMFest is the first of the year, so a lot of the films we world-premiere are going to be screened in other cities." My recent talk with Niwano on the eve of CAAMFest focused on, among other things, documentaries, which he says are currently the strongest strain in Asian-American films and the first to go to rush status at the box office. Why is that? "9-Man, about a 1930s street volleyball game born in American Chinatowns, screened at the old Great Star theatre in Chinatown," Niwano notes. "Other films screened there have never come this close to selling out. 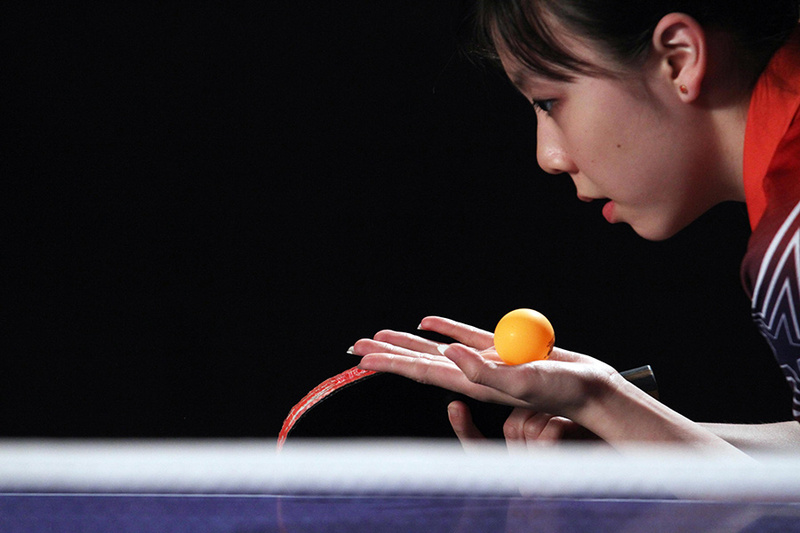 [Sara Newens and Mina T. Son’s] Top Spin, about three teens training to qualify for the 2012 London Olympics in table tennis, is also at rush. It’s a fascinating time for documentaries. Seeing Asian-Americans represented in narrative is important, but because they are increasingly visible on YouTube and TV, maybe narratives aren’t as critical. Instead, seeing Asian-Americans in documentaries and having their stories told in that medium is vital and perhaps the reason why docs are the first to sell out." Even YouTube, which five years ago felt like a threat to film festival attendance, especially among the potential younger audience, relies on CAAMFest to get the word out. Niwano cites YouTube filmmaker/star KevJumba (Kevin Wu), who has made several feature films and is the star of this year’s narrative feature Man-Up! "KevJumba is part of exploring outside of the online platform, dabbling in feature-length works that need film festivals to showcase them. The theater experience can’t be replicated. Building your community of audience and fans is something that you can only get within that festival experience." That festival experience increasingly includes music and food. "Part of our rebranding to CAAMFest three years ago came from wanting a film festival that includes more interactivity," Niwano explains. "We incorporated more food and music into our programming because we feel that having a film festival that is dynamic and that incorporates cinematic, cultural storytelling is the future of film festivals." This year’s festival included an inordinate amount of documentary programming about food, including Off the Menu: Asian America, Grace Lee’s survey of authentic Asian fusion, in which Asian-American purveyors develop foods that reflect both their ethnic origins and their relationships with other communities. Lucky Chow, a PBS series co-produced by CAAM, includes an episode that features the global cuisine served at Google’s Mountain View headquarters—it’s said that Gmail was developed by tech workers waiting in the food line—and the intricacies of processing tofu and growing lettuce vertically indoors. Another CAAM-funded TV series, Edmond Wong’s Supper Club (scheduled to air in 2016), follows "Demon Chef" Alvin Leung as he visits Bay Area restaurants that span the mind-bogglingly inventive varieties of Asian-inflected cuisine. CAAMFest’s move into year-round programming reflects not just the recent more episodic nature of popular entertainment, but the film festival’s need to coax an audience away from social media and viewing devices. While some of the food we watch being prepared is prohibitively glamorous, the theme of these films boils down to its home origins. "Food defines us," says an organic farmer in Lee’s documentary, and tells the story of the home that sustained us. Home movies do something similar, as artist-author-filmmaker Kip Fulbeck demonstrated in the third edition of CAAMFest’s "Memories to Light" home-movies initiative at the decidedly homey (and funky) New Parkway Theater in uptown Oakland. 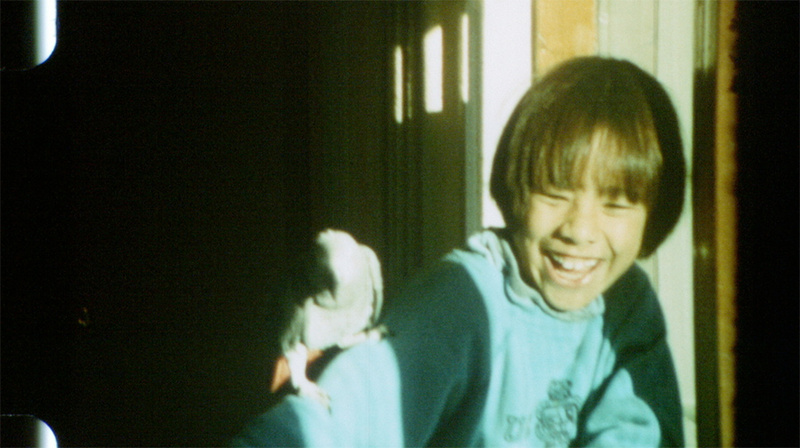 As he played home movies shot by his white father featuring his Chinese mother and four kinetic mixed-blood siblings, Fulbeck narrated a family saga of the "embarrassing and truthful." Considered the white kid of the family but the Chinese kid at school, he created an identity for himself, shaped by his Spider-Man and Iron Fist obsessions, by taking on new names and attributes. One glaring difference between his father’s footage and Fulbeck’s own home movies is the presence of the father figure. While his father effaced his own image by staying behind the (silent) camera, Fulbeck maintains a steady voiceover or frequently turns the lens on himself while shooting his two kids. How will his descendants interpret this shift in created identities? Generational shift was the theme of Changing Season: On the Masumoto Family Farm, a CAAM-produced documentary about a Japanese-American fruit-farming clan facing the crisis of inheritance. The Masumoto-Sugimoto families witnessed the signature events of our time: turn-of-the-20th-century Japanese immigration, agrarian success in California’s Central Valley and Japanese-American internment during World War II. Now their wildly successful organic peaches, nectarines and grapes are threatened by California’s worst drought ever. Then there’s patriarch David "Mas" Masumoto, who expects to live much longer, despite heart problems, and has trouble turning over operations to his willing disciple and daughter Nikiko, a lesbian progressive who has seen racism and homophobia both in her white mother’s family and the surrounding community. Perhaps the most powerful home-related theme I felt this year was in three documentaries about the effects of the Khmer Rouge takeover of Cambodia during the 1970s—all directed by Americans. Sara Dosa’s The Last Season takes us to the remote woods of Chemult, Oregon, where mushroom hunters gather every autumn for the prized matsutake harvest. One-legged Cambodian-American war vet Kouy leaves home for months at a time to ply a skill he attributes to his ordeal in a Khmer Rouge labor camp, searching the woods for grubs and fungi. He’s torn between returning home to his child and making a home for his war-vet friend Roger, also suffering from the effects of war in Southeast Asia and dying in a trailer near Chemult. A Spotlight tribute to Arthur Dong packed the Castro Theatre for a world-premiere screening of his latest documentary, The Killing Fields of Dr. Haing S. Ngor. This was a moving story of the third son of a large, prosperous Phnom Penh family, enjoying life and working part-time as a gynecologist and never imagining he would someday be forced to leave his home and have to hide his medical skills from the Khmer Rouge, who killed the educated—an omission that led to the death of his wife, Huoy, who was having trouble during childbirth while in the labor camp. Ngor had to watch his wife and baby die. Only a few years after arriving in the US, he won an Academy Award for Best Supporting Actor for his first acting role as Dith Pran in the 1984 film The Killing Fields. Then in 1996 he was shot to death in what was determined to be a botched robbery attempt, but rumors about political assassination circulated for years. For Ngor, home could never be restored, and danger lay in wait even in the adopted home that brought him global fame. His beloved niece talks about his life and death as she combs through mementos in Ngor’s cluttered home in Los Angeles’ Chinatown. The most unforgettable CAAMFest film for this fan of Cambodian pop music was John Pirozzi’s Don’t Think I’ve Forgotten: Cambodia’s Lost Rock and Roll. Pirozzi also made the 2007 Sleepwalking through the Mekong, about Cambodian-American singer Chhom Nimol and her American rock band Dengue Fever as they tour her old home. Don’t Think I’ve Forgotten crafts a glorious history of Western-influenced pop music as experienced by Cambodians before the fall of Phnom Penh in 1975. Then the Khmer Rouge forced all citizens into the countryside, where the singers and musicians dispersed and most of them mysteriously disappeared—probably killed for being musical performers. Survivors recount heartbreaking rumors of sightings and deaths, until the tangled love lives and professional careers of these long-gone artists seem like a faraway dream. When the years-long nightmare is over, Cambodians coaxed by the lovely voice of Sieng Vanthy finally make their way back home to their beloved city. There was no more powerful expression of the love for home at this year’s CAAMFest than this indelible documentary. Frako Loden is adjunct lecturer in film, women's studies and ethnic studies at California State University East Bay and Diablo Valley College. She also reports on film festivals for Fandor.